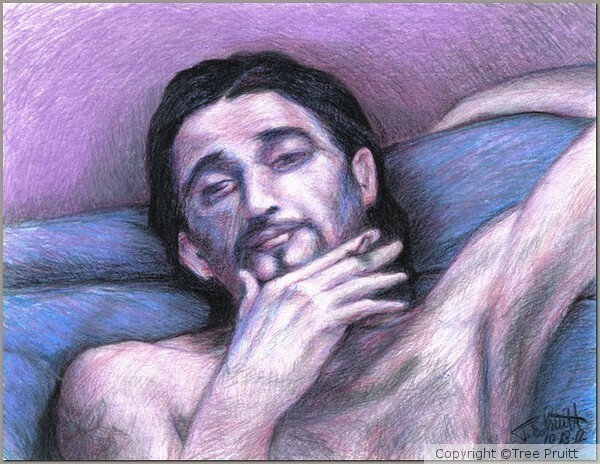 A limited color study of a man laying back on a sofa, scribbled in with 4 dry watercolour pencils. Oct. 18, 2012. Excellent! The blue and purple works. Very moody!